Better customer apps make happier customers. Learn how. 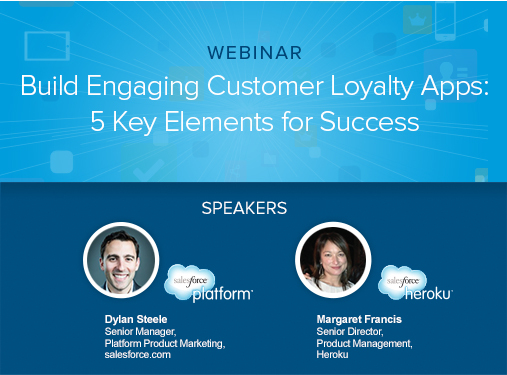 In this on-demand webinar "Build Engaging Customer Loyalty Apps: 5 Key Elements for Success" experts from App Cloud and Heroku talk about how you can build apps in any language to engage customers. And, even more importantly, sync those apps to your business processes to help employees give customers what they want, sometimes even before they ask.